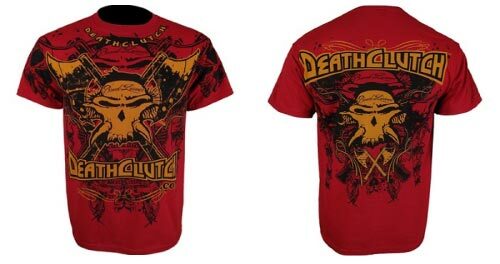 To take it up a notch and celebrate “Brocktober” deathclutch has release a new Championship Edition of Brock Lesnars’s shirt for UFC 121 vs Cain Velasquez. It has the same design as the original Lesnar T shirt, except that the images that were white have been converted into a gold color. This is a limited edition MMA T shirt and only 400 have been made. So get yours before its gone.